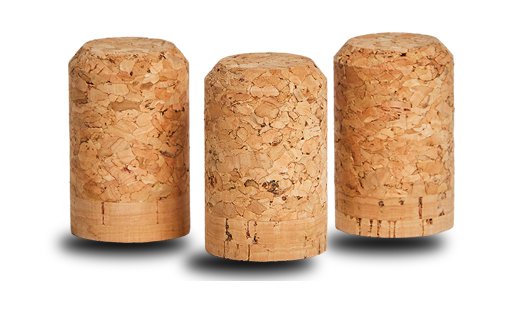 The Sparkling 2-disc stopper is the classic choice for sparkling wines. Consisting of a molded body with two disks added, today it represents the maximum reliability from both the mechanical and sensorial point of view. The production of this closure is characterized by the fact that all the components (discs and granulate) are tested by gas chromatographic analysis at least 9 times along the chain, ensuring a perfect sensory quality that makes it an excellent solution for any occasion.